For children with traumatic epidural hematomas (EDHs), repeated computed tomography (CT) imaging is common, but rarely impacts management. 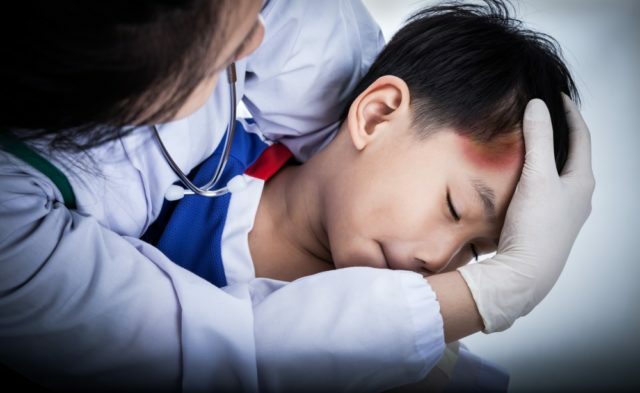 HealthDay News — For children with traumatic epidural hematomas (EDHs), repeated computed tomography (CT) imaging is common, but rarely impacts management, according to a study published in the September issue of Pediatrics. Brian F. Flaherty, M.D., from the University of Utah in Salt Lake City, and colleagues conducted a retrospective cohort study involving 184 subjects aged 0 to 18 years who had a traumatic EDH and were treated at a level I pediatric trauma center from 2003 to 2014. Radiographic and clinical findings, the frequency and timing of reimaging, and changes in neurologic status were compared between patients whose management changed because of a meaningful CT scan and those whose management did not change. The researchers found that 10 percent of the subjects analyzed had a meaningful CT. There was no difference in the frequency of CT between the meaningful CT and no meaningful CT groups (median, 1 in each). Management was changed in only 7 percent of repeated CTs. Correlations were seen for neurologic status immediately before the repeat scan and mass effect on the initial CT with a meaningful CT (odds ratios, 45 and 4, respectively). Reimaging only those with concerning pre-CT neurologic findings or mass effect on initial CT would have reduced imaging by 54 percent.